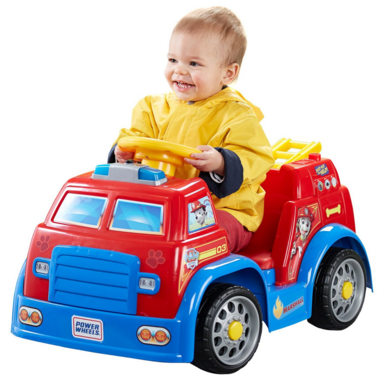 Power Wheels Nickelodeon PAW Patrol Fire Truck Just $79 Down From $120! You are here: Home / Great Deals / Amazon Deals / Power Wheels Nickelodeon PAW Patrol Fire Truck Just $79 Down From $120! Don’t wait till the last minute! Get your Power Wheels Nickelodeon PAW Patrol Fire Truck for just $79 down from $120 on Amazon! Get yours now while it lasts! Electronic lights and sounds & pivoting ladder fire up the realism and role play!